What is Badoo for Android? How Do I Use Messages on Badoo for Android? Sending messages is one of the main ways that users of the app connect with each other. The app comes complete with a dedicated Messages icon where users can access their inbox to read any messages that they have been sent and send messages to other users. What is Visitors in Badoo for Android? Visitors is a special feature that profiles users with a list of all the different people who have checked out their profile. 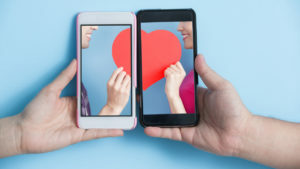 Users then have the option of connecting with certain visitors if they wish by sending them a personal message and starting a conversation that could lead to a lasting friendship. How Do I Complete My Badoo for Android Profile? In order to attract visitors and find a potential mate, users should create a full and appealing profile. The profile is divided into a number of sections to make supplying personal information easy and it is a good idea to try to complete each section. What Types of Personal Info Can I Add to My Badoo for Android Profile? The profile is divided into a total of twelve different sections with the first being Location. This lets visitors to the profile know roughly where the user lives, while the About Me section can be used to supply detailed information. Other sections include Relationship Status, Sexuality, Appearance and Education. How Do I Use the Search on Badoo for Android? The People Nearby feature can be used to locate people who are living in a certain area. It is also possible to search for people who have particular characteristics and interests by clicking on the Filter button and entering certain specifications. What is the Encounters Game on Badoo for Android? The Encounters game is a great way to make new friends and meet dates. Users are presenting with profiles of other users at random and they can flick through their posted photos before deciding if they want to meet that person by pressing Yes, No or Maybe. What is the Chat Feature on Badoo for Android? In addition to sending text-based messages, users can send more informal messages in the form of emoticons. This is a good way to initiate a conversation with someone new without having to share too much information. Is Badoo for Android Free? It is completely free for Android users to download the app and create an account. However, certain features such as Super Powers can be purchased if desired through PayPal or a credit card. Do I Need to Create an Account to Use Badoo for Android? Users need to create an account in order to use the app. This will allow other users to find them and during the sign up process users simply need to supply a few details such as their name, date of birth and email address.